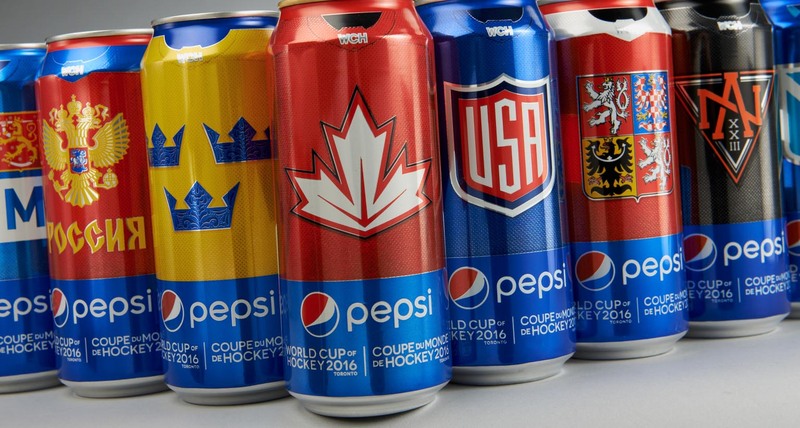 PepsiCo, an Official Partner of the World Cup of Hockey (WCH) 2016, has partnered with Toronto design firm Shikatani Lacroix to design limited edition WCH Pepsi cans. Shikatani Lacroix worked closely with Pepsi to develop unique and breakaway packaging designs that demonstrate the prestige of the WCH and celebrate the game of hockey with Canadian hockey fans. Shikatani Lacroix created multiple design concepts to encapsulate the excitement of the WCH and inspire conversations around hockey in Canada, while maintaining and strengthening Pepsi’s brand equity. Shikatani Lacroix created four collectable concepts, but the Jersey Can ultimately scored as the truly one-of-a-kind package design. The limited edition designs transform the entire can into one of eight WCH team jerseys. The design strategy focused on optimizing the surface area of the 473ml can and texturing the graphic to portray realistic jersey material. 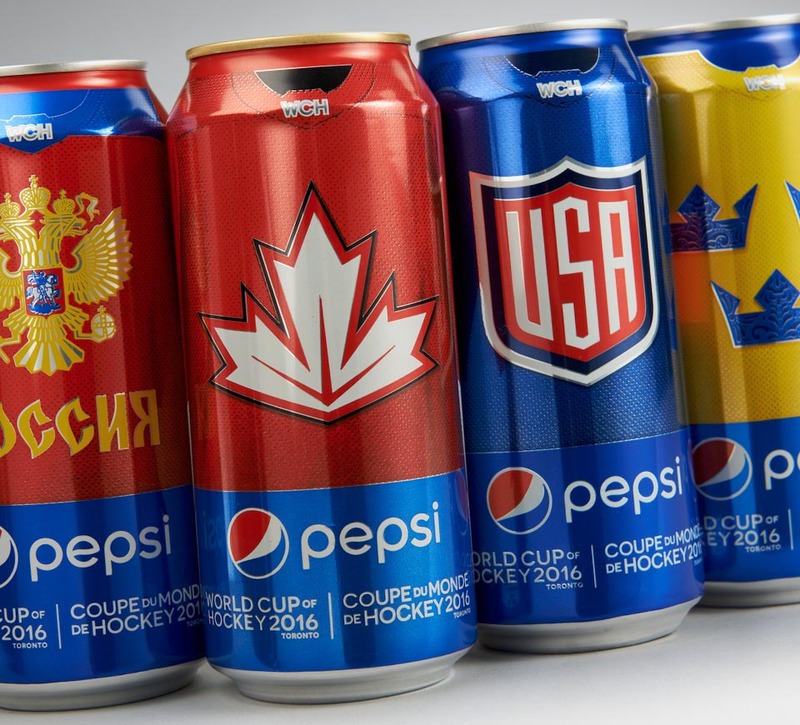 There are eight collectable WCH Pepsi cans, each showcasing a jersey from one of the participating teams: Canada, United States, Russia, Sweden, Finland, Czech Republic, Team North America and Team Europe. The 2016 World Cup of Hockey, organized by the National Hockey League (NHL®) and the National Hockey League Players’ Association (NHLPA), takes place in Toronto Sept. 17 to Oct. 1, 2016.